More than five years have passed since Tiger Woods's last win on the PGA Tour. Five years, is that all? It’s been five years (and then some) since Tiger Woods last won a PGA Tour event. During that time, very much has changed in the Life of Eldrick. Many surgeries, many WDs, restarts, and many questions over whether or not he’d return to play golf brilliantly again. The 2018 season — which Woods has dubbed one of his best — eased many golf fans into the moment where Woods would win again. That day came today, and as a nice reminder, here are the things that happened in his life, golf or otherwise, during that long five-year stretch. Aug. 4, 2013: Tiger Woods wins the WGC-Bridgestone for the eighth time in his career, just one week before the PGA Championship at Oak Hill. Jason Dufner wins his major at 10 under. Woods makes the cut but finishes four over. Aug. 25, 2013: Woods falls to the ground in pain during the final round of The Barclays at Liberty National. Blaming his back pain on the hotel bed he slept in that week, Woods still somehow ties for second behind Adam Scott. Oct. 6, 2013: Woods’s Barclays back issue fades, and he finished the season trailing only Henrik Stenson in the FedEx Cup standings. Woods scores four points (more than any other player) at the Presidents Cup, which the U.S. wins 18.5-15.5. Jan. 26, 2014: Making his season debut at Torrey Pines, Woods played seven straight holes to a score of bogey or worse, shot 79 and missed the 54-hole cut. 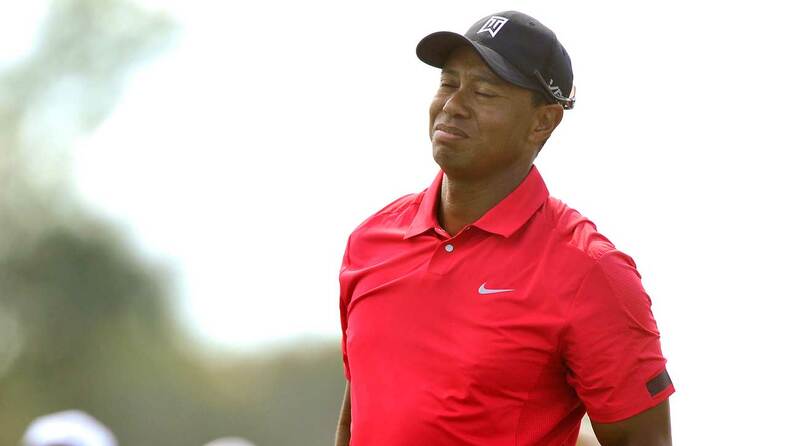 March 3, 2014: Woods withdraws from the Honda Classic one month prior to the Masters, citing a lower back injury. Woods also says the pain was similar to The Barclays flare-up from six months prior. Woods was forced to WD from the 2014 Honda Classic during the final round. April 1, 2014: In what seemed like an ironic April Fools joke, Tiger announces he will not compete in the 2014 Masters after having back surgery. Woods misses the Masters for the first time in 20 years. He had competed in the WGC-Cadillac Championship for three rounds before his back issues flared up during the final round. Woods also missed the Arnold Palmer Invitational. May 18, 2014: Adam Scott overtakes Woods as the No. 1 player in the World Golf Ranking. That caps Woods’s total weeks atop the ranking at 683. June 26, 2014: After missing the U.S. Open at Pinehurst, Woods returns to the PGA Tour at his event, the Quicken Loans National, and misses the cut, shooting 74-75. One month later, he shoots 69 in the first round of the British Open, but fails to break par the rest of the event. Aug. 3, 2014: After an opening-round 68 as the defending champ at the WGC-Bridgestone, Woods appears like he’ll get his second top-25 finish this season. But during the final round, Woods re-injures his back after taking a lash from a fairway bunker. He withdraws after playing just eight holes. His much-anticipated arrival at the following week’s PGA Championship is met with…a 74-74 missed cut. Jan. 28, 2015: Making his season debut at the Waste Management Phoenix Open, Woods shanks a bunker shot INTO THE STANDS during a practice round. He plays it off as a bit of a joke, but the ensuing months show his short game has some real problems. https://www.youtube.com/watch?v=isjfs7PoSSA Feb. 5, 2015: In typical fashion, fog rolls in and out of the San Diego morning at the Farmers Insurance Open. Woods’s first round is made inconsistent by a fog delay. His back tightens up, his glutes “deactivate” and Woods is forced to WD on his 12th hole of the day. Afterward, he offers this great quote: “It's just my glutes are shutting off. Then they don't activate and then, hence, it goes into my lower back. So, I tried to activate my glutes as best I could, in between, but it just, they never stayed activated." March 29, 2015: Woods falls outside the top 100 in the World Golf Ranking for the first time since his first career victory. April 12, 2015: Woods puts a charge into the Masters with a Saturday 68 to reach six under. Unfortunately, Jordan Spieth was 10 strokes ahead. On the 9th hole, during the final round, Woods strikes his approach off a tree root. What appeared to be yet another injury, Woods says after the round: "A bone kind of popped out and the joint kind of went out of place, but I put it back in." His final round 73 keeps him outside the top 15. May 3, 2015: Woods announces his relationship with Olympic skier Lindsey Vonn has ended amicably. Summer 2015: Woods reaches quite possibly the low on-course point of his career, missing the cut at the U.S. Open at Chambers Bay, the British Open at St. Andrews and the PGA Championship at Whistling Straits. Woods shot a first-round 80 at Chambers Bay. That’s 10 over, culminated by this brutal approach from the 18th fairway. https://www.youtube.com/watch?v=TLyHLl9F-Og Aug. 23, 2015: Optimism strikes when Woods leads the Wyndham Championship after a first round 64. He follows that with a second round 65. While in contention Sunday, Woods skulls a chip over the 11th green, making a triple bogey. He rallies for a T10 finish, but the short game struggles clearly remain. Sept. 18, 2015: Woods announces he has undergone another surgery on his back. He says he doesn’t plan to play golf competitively again in 2015. "I've been told I can make a full recovery, and I have no doubt that I will." He hoped to return in early 2016. Oct. 30, 2015: Woods announces on his website that he has undergone yet another microdisectomy on his back. The surgery is done to relieve pain and is performed by the same surgeon as the first two surgeries. “It's one of those things that had to be done,” Woods says. Dec. 1, 2015: As host of the Hero World Challenge, Woods's outlook remains foggy as ever. He says rather bluntly, “There is no timetable. There is nothing I can look forward to, nothing I can build towards.” Woods also adds that “everything beyond this will be gravy.” Dec. 3, 2015: TIME Magazine publishes a lengthy Q&A with Woods on all topics — his game, his life, his relationships, his experiences as a father, etc. April 2, 2016: Despite ‘Progressing nicely,” Woods declares he is not ready to compete and will not be taking part in the Masters. He does, however, attend the Champions Dinner. May 16, 2016: During the Media Day for Woods’s Quicken Loans National, Woods hits three consecutive short wedge shots into the water. Not only does he look stiff, he announces how stiff he is while he’s hitting the shots. https://www.youtube.com/watch?v=4lTYuhGvI7k July 19, 2016: Tiger announces he will miss the PGA Championship, making it a full season of no majors for Woods, the first for him since 1994 when he was still an amateur. Aug. 29, 2016: Nike, Woods’s longtime sponsor and equipment manufacturer, announces it will exit the equipment manufacturing business. 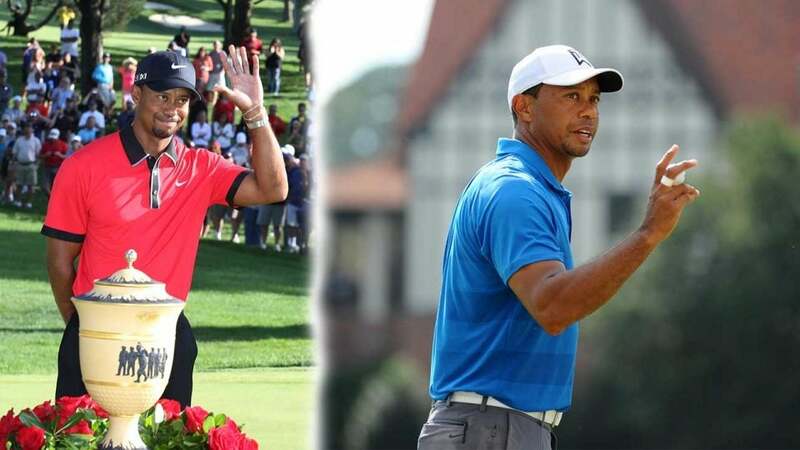 It is reported that Woods isn’t pleased with the departure, but his longtime friend Notah Begay says that many club companies begin courting the 14-time major winner. Sept. 7, 2016: Woods announces he will make his return to competitive golf at the 2016 Safeway Open and will also compete in the Turkish Airlines Open and his event, the Hero World Challenge. Oct. 10, 2016: After a full week as a vice captain for the U.S. Ryder Cup team, Woods deems himself unready to play competitively and pulls out of the Safeway Open. Dec. 2, 2016: At the Hero, Woods begins his first round of his comeback with four birdies in his first eight holes, but ultimately finishes with a one-over 73. He finishes the event four under and in 15th out of 17 finishers, 14 shots back of winner Hideki Matsuyama. Dec. 22, 2016: Mac. Daddy. Santa. Feb. 3, 2017: Woods’s first official PGA Tour event since surgery ends with him missing the cut at the Farmers Insurance Open, but the first cause for concern is in Dubai. Woods flies coach across the world, fires a first-round 77 and withdraws from the Dubai Desert Classic without beginning his second round. March 20, 2017: A new book titled The 1997 Masters: My Story is out, and Woods makes an appearance at a New York Barnes & Noble to sign autographs for fans. March 31, 2017: Woods has not played another competitive round, and will not be doing so for the immediate future. The now 41-year-old announces he will not play the 2017 Masters. April 20, 2017: Woods announces yet another back surgery. This one is an Anterior Lumbar Interbody Fusion surgery to relieve pressure on a pinched nerve. “I would like to thank all the fans for staying in touch and their kind wishes,” Woods says. “The support I have received has never waned, and it really helps.” This surgery calls for plenty of rest. May 29, 2017: Woods is arrested for DUI near his home in Jupiter, Fla., early in the morning of Memorial Day. Woods was found alone and asleep in his car, parked partially in the street and the bike lane. Woods was not under the influence of alcohol, but did have five different drugs in his system at the time of his arrest. Aug. 31, 2017: Woods begins a string of comeback posts by tweeting a video of him pitching. Oct. 15, 2017: And then driver. Oct. 23, 2017: And finally, the stinger. Oct. 27, 2017: Tiger pleads guilty to reckless driving and agrees to enter a DUI diversion program, which includes 12 months probation. Photos of Woods in sunglasses arriving and leaving the court room are shared endlessly on social media. Dec. 3, 2017: Woods makes a raucous return to competitive golf at his event, the Hero World Challenge. At one point during the second round, Woods’s name is atop the leaderboard. Eventually, he finishes tied for ninth, thanks to a Saturday 75. Jan. 28, 2018: Woods plays the Farmers Insurance Open, his first full-field PGA Tour event in a year, and shoots three under, tying for 23rd. He cards four rounds at par or better for the first time since the 2015 Wyndham Championship. March, 2018: Tiger contends to win a PGA Tour event not just once, but twice (! ), at the Valspar and the Arnold Palmer Invitational. Though he finished T2 and T5 in those events, respectively, Woods’s inefficient driver is cause for concern. He did not hit driver on the 18th at Innisbrook when he needed a birdie, and his hopes at the API came crashing when a drive flew out of bounds in the closing stretch. April 8, 2018: Entering the Masters as a newfound favorite of sorts, Woods plays...okay, only breaking par during his final round. He finishes tied for 32nd, but it marks his first major start since August 2015. July 12, 2018: GOLF.com's Alan Shipnuck reports that Woods and longtime rival Phil Mickelson have agreed they will compete in a made-for-TV match. Woods and Mickelson, who have seemed to mend a once-hasty relationship, eventually zero in on Thanksgiving weekend for a date. July 22, 2018: Woods’s greatest chance to claim major No. 15 comes at famed Carnoustie, in which Woods turned to the back nine with the lead. Playing alongside Francesco Molinari, Woods played the final nine in two over par. Molinari finished strong, winning the Open — his first major — by two strokes. Sept. 6, 2018: Woods shoots an impressive 62 in the first round of the BMW Championship and holds a share of the lead with Rory McIlroy. He eventually ties for sixth, but earns his way into the Tour Championship. On the final day of the event, a Monday, Jim Furyk picks Woods as one of his captains picks for the 2018 Ryder Cup in France. Sept. 12, 2018: The 12-month probation Woods was under for his DUI arrest is lifted early. Sept. 22, 2018: Starting Saturday day in the final pairing, Woods begins his third round with six birdies in the first seven holes, grabbing the tournament by the throat. At one point his lead reaches six strokes on Saturday. Woods polishes off his wire-to-wire victory on Sunday with a 1-over 71. Justin Rose barely nips him in the FedEx Cup standings. Woods, all of a sudden, has 80 career wins.